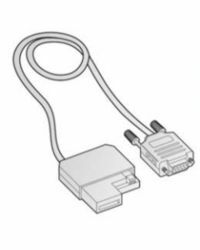 RJ45 - DB9 communication cable to manage configuration, control, tracing and other features for Mobi family devices. Tested to be compatible with our devices. You may use any other compatible adapter. 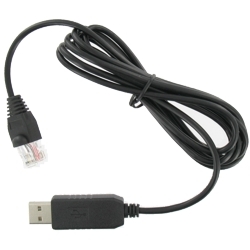 RJ45 - USB communication cable to manage configuration, control, tracing and other features for Mobi family devices. 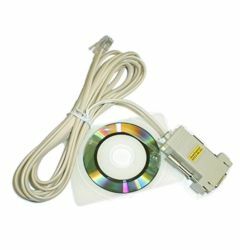 RJ45 to DB9 cable to manage configuration, control, tracing and other features for Gsm+ family devices equipped with RJ45 com port. 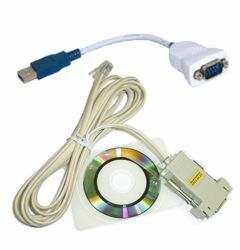 RJ45 to USB cable to manage configuration, control, tracing and other features for Gsm+ family devices equipped with RJ45 com port. 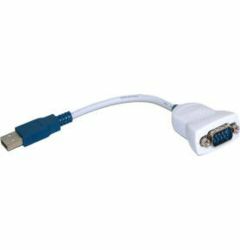 Internal service port to USB cable for all cheaper Gsm+ family devices not equipped with RJ45 com port. 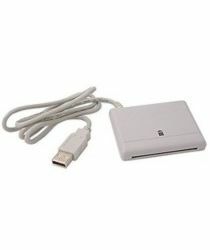 A simple SIM card reader/writer for USB port lets you edit the phonebok, SMS memory and other data stored into SIM cards. 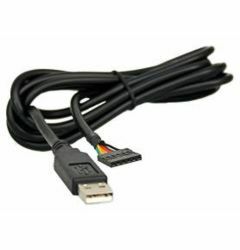 RS232 cable used to connect Mitsubishi Alpha controllers to Personal Computers running programming software.